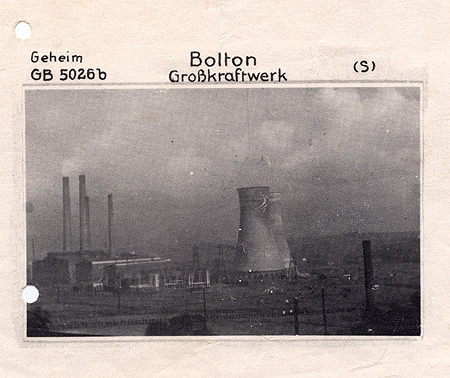 Luftwaffe target photo of Back 'o'th Bank power station, Astley Bridge. It is marked 'Geheim' (Secret) in the top left corner. It has been suggested that this is actually Kearsley power station!